The second step was to add an adjustable nose piece (also developed and patented by our partner) that was soft and easy to change, allowing it to perfectly fit different face sizes and shapes. Another important technology that we developed for the Basilisk is the fish tail rolling buckle. 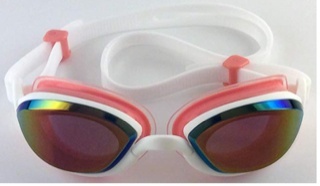 You can pull the fish tail backwards to fasten the goggles and pull it forward to loosen them. You will love it once you have tried it! We have applied the best anti-fog coating currently available on the inside of the lens and provide a free bottle of anti-fog solution with each pair of goggles. With the bottle of anti-fog solution, your view will be clear for a year.